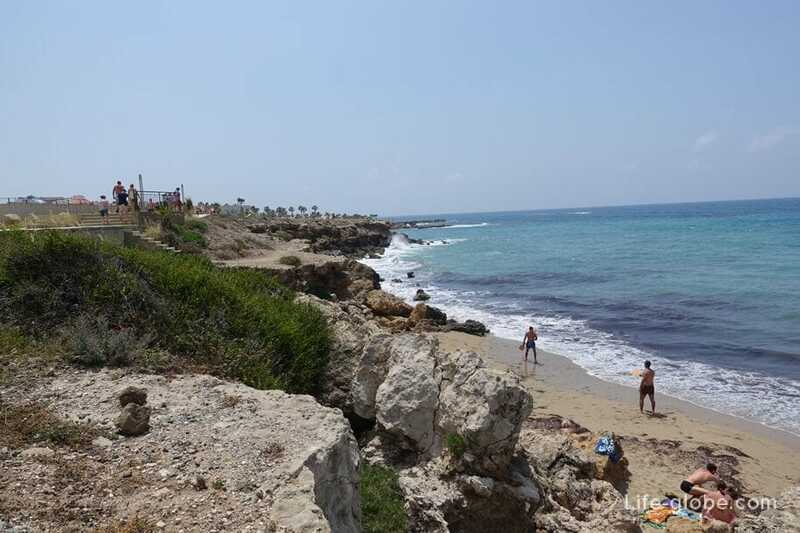 Beach SODAP the official name Vrysoudia A - one of the Central public beaches of Paphos. 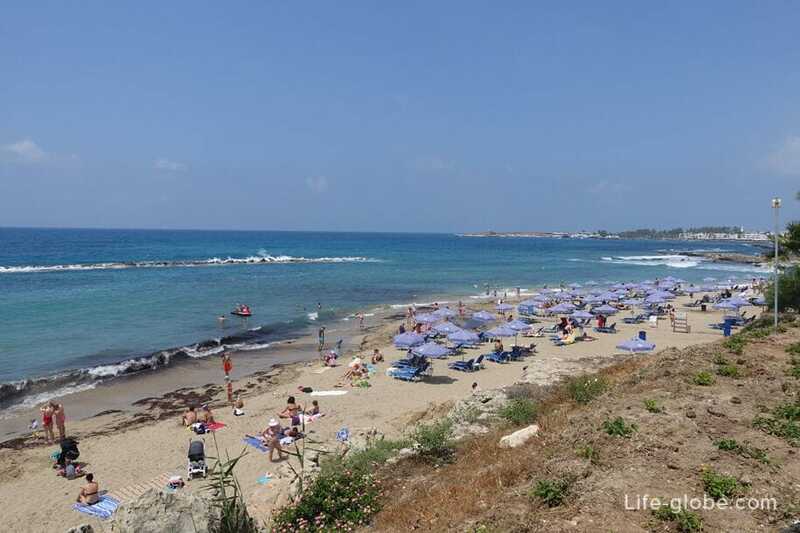 Sodap beach is considered one of the best beaches of Kato Paphos, as well as one of the main beaches located close to the main road - Avenue of the Posidonos. 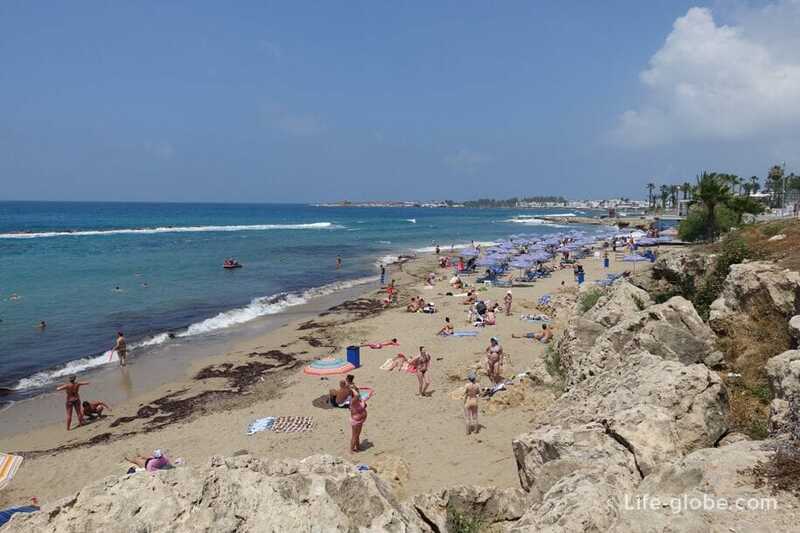 The beach has been awarded the "Blue flag" - a sign of purity and quality of the beach and sea water. 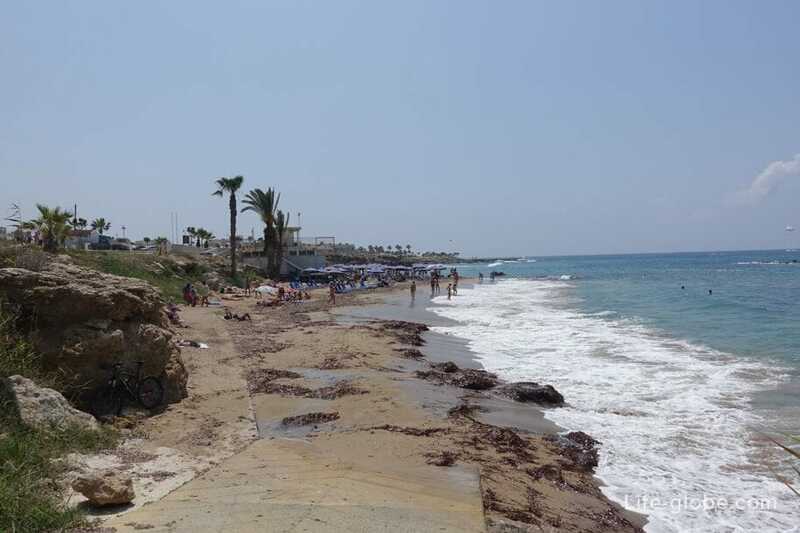 Compared to other beaches in the Paphos beach Sodap quite large and well maintained. 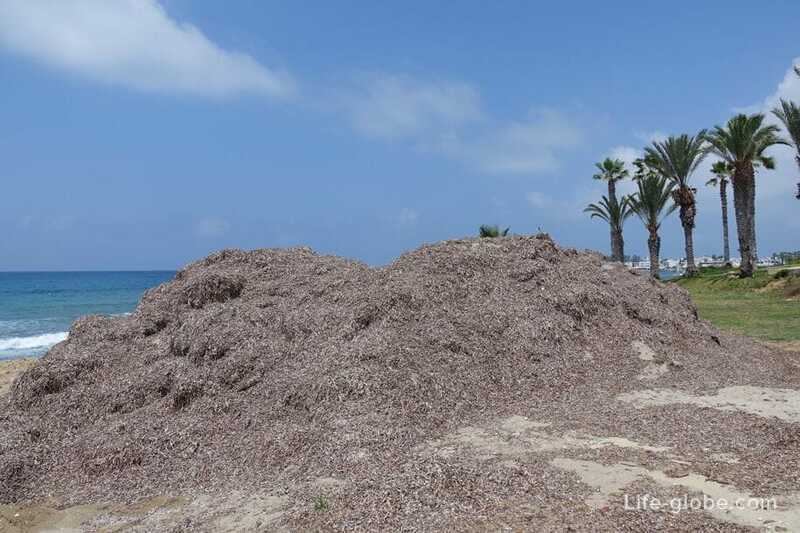 The length of the beach Sodap is 300 metres away. The beach is mostly fine sand of gray color, sometimes mixed with gravel and boulders. The beach is cleaned regularly. On the beach there are algae. 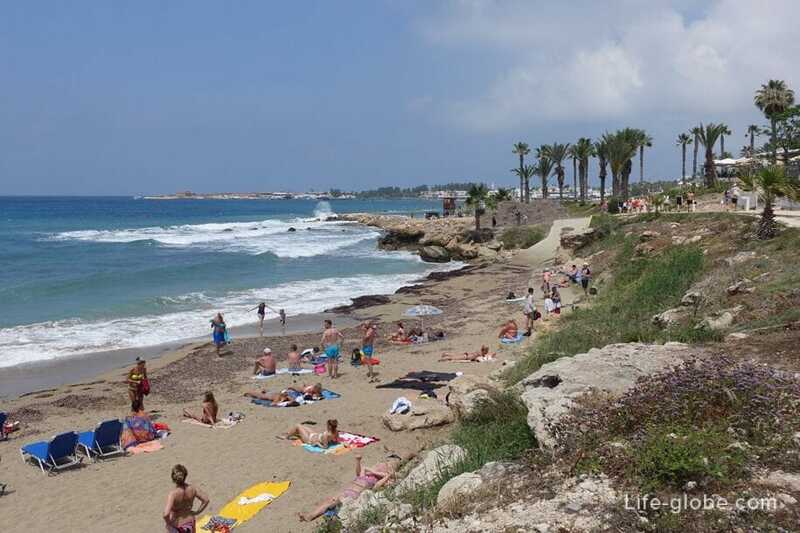 On both sides of the beach and there are breakwaters that protect the shore from large waves. However, despite this, the beach is still often present waves. The entrance to the sea is quite shallow, the bottom is mostly sandy. In the high tourist season on the beach there is all necessary infrastructure: sunbeds and umbrellas, toilets and showers, rubbish bins and changing rooms, rescue towers. Lifeguards with lifesaving equipment and first aid are on the beaches from April 15 to October 31, from 11:00 to 17:30 hours. 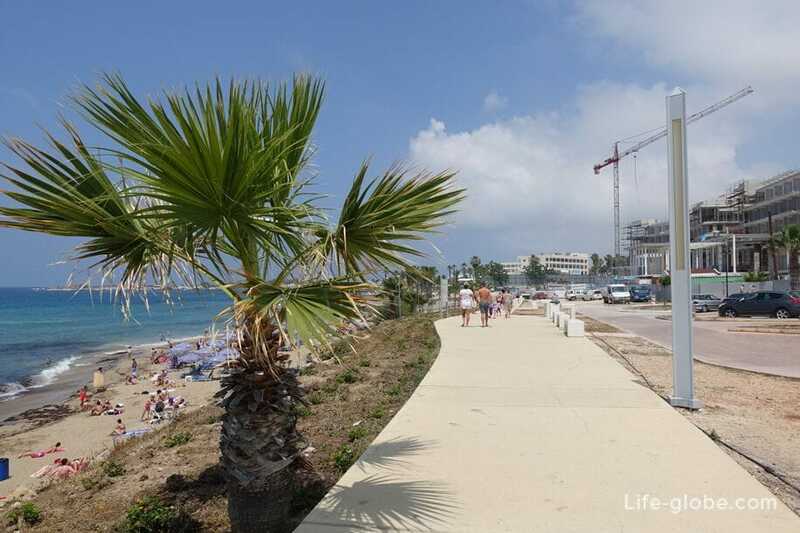 Close to the beach, a dedicated area for water activities, there is also Parking, cafes and restaurants. Above the beach along the promenade is a Coastal Broadwalk, and because the beach is below the level of the embankment, the area is very picturesque. - The 4-star Alexander The Great Beach Hotel, located near the neighbouring beach - Vrysoudia B. the Hotel has landscaped grounds and 2 pools. 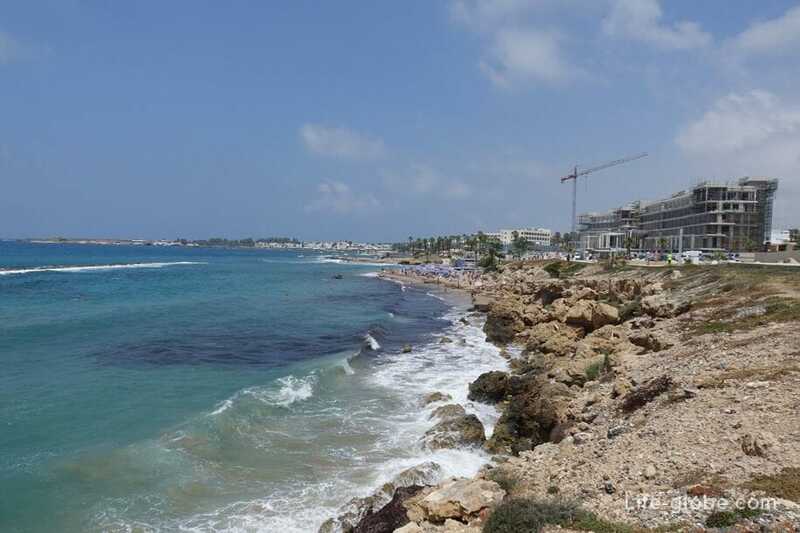 Some of the rooms have views of the beach and the Mediterranean sea. 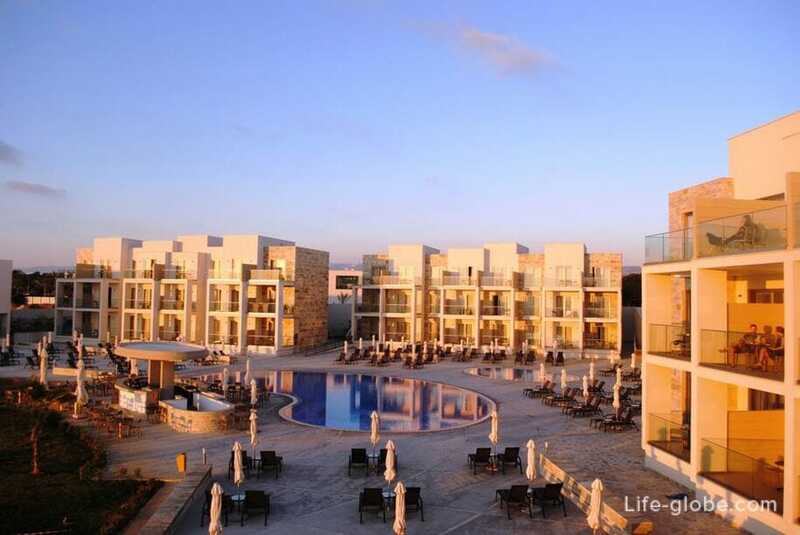 - 4-star Aloe Hotel with two outdoor pools, a water sports and diving school. All rooms feature: air conditioning, mini-bar and satellite TV. The balconies offer views of the pool and the hotel grounds or the sea. - 4-star Amphora Hotel & Suites, located in landscaped gardens on the territory of the former SODAP winery. The rooms have a panoramic sea view. It offers a pool, kidney-shaped, a restaurant and a lounge bar. The rooms, suites and apartments have private balcony, air conditioning, electric kettle and a flat-screen TV with satellite channels. 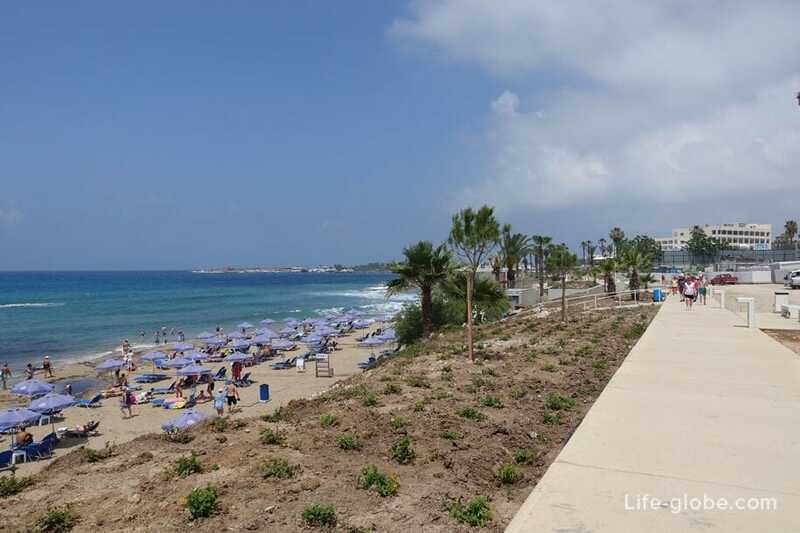 - 5-star Olympic Lagoon Resort Paphos. It offers 5 outdoor pools, a tennis court, 5 restaurants, a Spa, a fitness centre and an indoor pool. All rooms and suites feature a Seating area with a flat-screen TV with satellite channels, a mini fridge and a private bathroom with a Hairdryer and free toiletries. Some rooms have a balcony or patio with views of the Mediterranean sea. 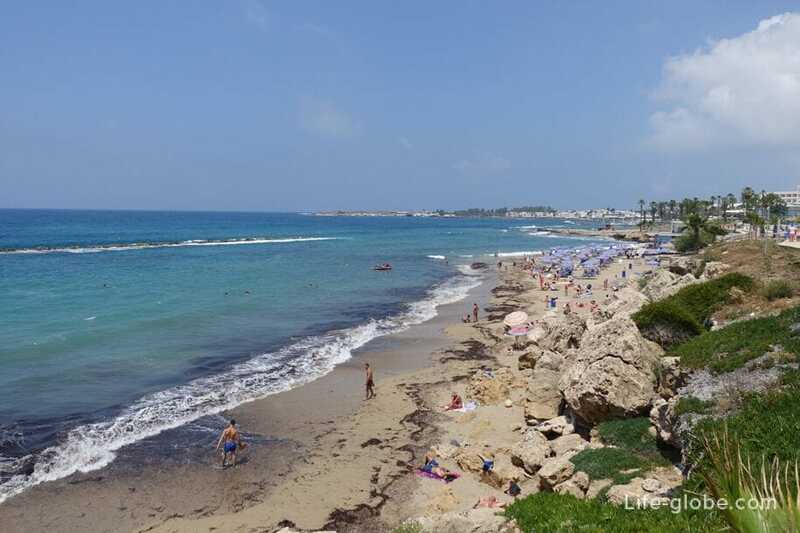 Beach Sadap is situated between the beaches Vrysoudia B and Pachyammos, at a distance of approximately 1.7 kilometers from the Harbour and Paphos Castle. 1. 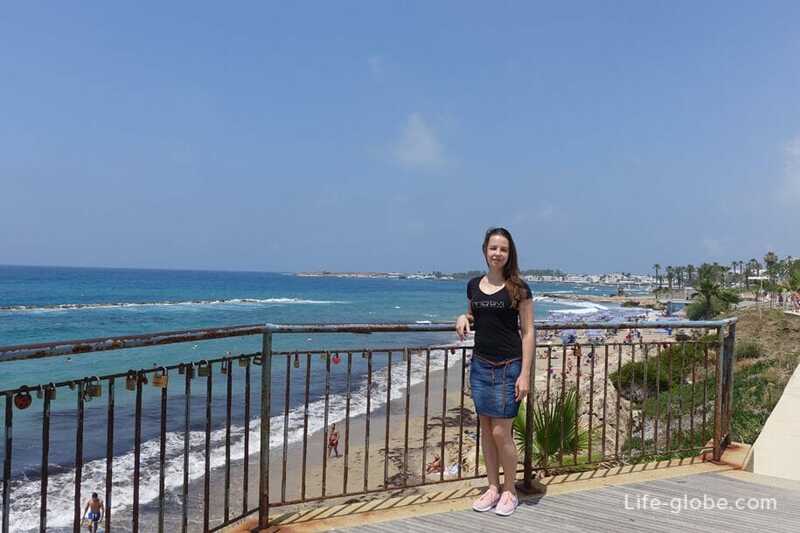 On foot, walking along the promenade of Kato Paphos. - 606 (bus station Harbour - centre Geroskipou). 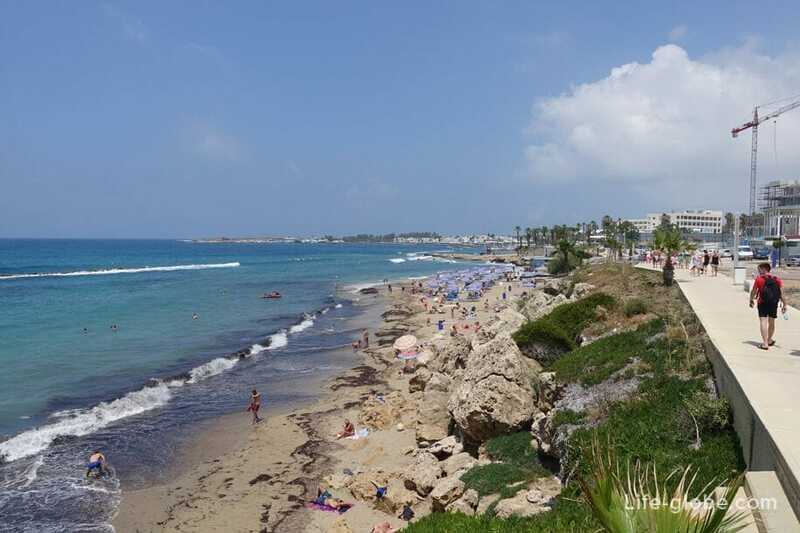 The bus stops a little further from the beach, at bus stops Amathus Hotel and Veronica Hotel. Distance from the hotel to the beach is about a kilometer.